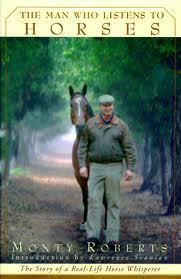 One of the best books I’ve read on training is The Man Who Listens to Horses. I found this book by accident because I was looking in the wrong section of the library for another book for someone else. I’m so glad I did. Not only was it an engaging account of an extraordinary life, it was a clear, simple articulation of a method for creating connection and trust with a horse. At the time, I’d recently taken a course on taming mustangs that was based on Applied Behavioral Analysis (ABA) principles. 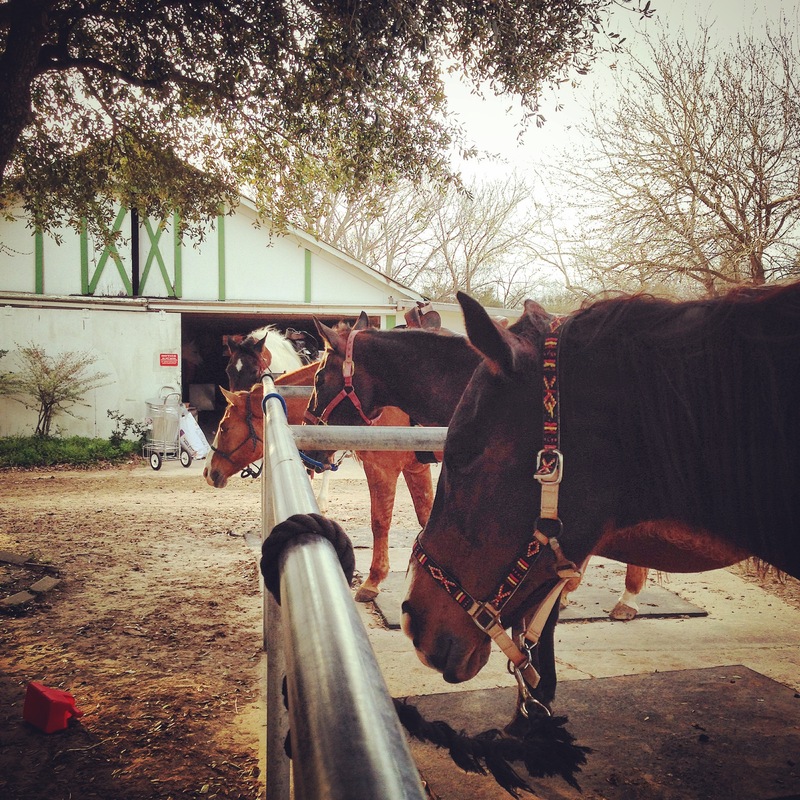 The aim of this method is the humane training of horses (and other animals) based on gaining trust and then teaching using the behaviorist methods of Skinner and Pavlov to pair positive stimuli with the training process. It’s interesting and effective, but I found that when I was studying the process, it seemed…convoluted. Like it was more complicated than it had to be. 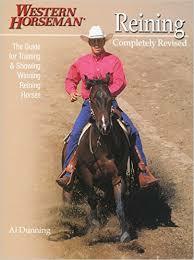 When I read about Monty Roberts’s join-up method, I saw what was missing. He speaks to the horses using their own language, not our complex vocabulary of psychological terms. Having spent so much time observing mustangs in the wild and understanding how they interact—for example, how a matriarch mare disciplines the problematic behavior of a young colt—Roberts was able to learn how to make a connection with horses in terms that they understand. There’s a part where he talks about a tutor he had when he was young, who said that you can’t teach someone anything, you can only create an environment where he can learn. That is what strikes me as the difference between the ABA approach I studied and Roberts’s approach. Instead of repetitive, scientifically constructed scenarios aimed at getting the horse to do what you want, Roberts’s method is essentially a conversation. It’s saying to the horse, “Trust me; I’ll take care of you,” when the horse is at his most vulnerable. After he trusts you, he’ll willingly want to learn. The ideas of this book really stuck with me. Several months after reading it, I was at my first show with Dunnie, having my first experience with cow work. He’s trained as a cow horse and gets very excited about them. I, on the other hand, am somewhat afraid of cows. They’re big and I don’t have any experience with them — so I don’t know how they’ll behave. But as I was watching everyone in my clinic class try to keep that cow along the wall, and then in my own run, I realized that a lot of it comes down to pressure. So as I was learning about how to manage the cow, it occurred to me that this same kind of pressure applies. 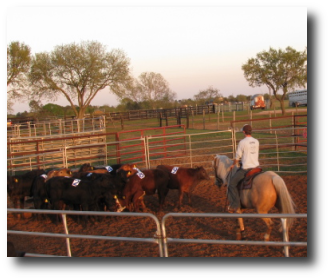 When you approach the cow’s flank with your horse, it applies pressure and the cow moves. But then as we were chasing the cow, the clinician was telling me to apply “cow-side” leg—i.e. stay parallel to the cow, but move Dunnie off my leg laterally in the direction away from the cow. That seems to ease off the pressure and results in the cow slowing down or stopping. The whole thing seems to hinge on creating the right tension of pressure on the cow, aiming it at the right place with the right timing to control it. I have a lot to learn in this area; my one experience after the clinic was our Working Cow class this next day, my goal in which was less to control the cow and more just to make it out alive. But the more cutting I watch, the more interested I become in trying it out again with Dunnie. We might soon have the opportunity to do more cow work with the show team; there’s a team penning event held at a place not too far away on Wednesday nights that I’m dying to go to. Since working at this barn, I’ve also had my first opportunities to work in a round pen, both with Dunnie and with another horse I was testing out for my trainer. 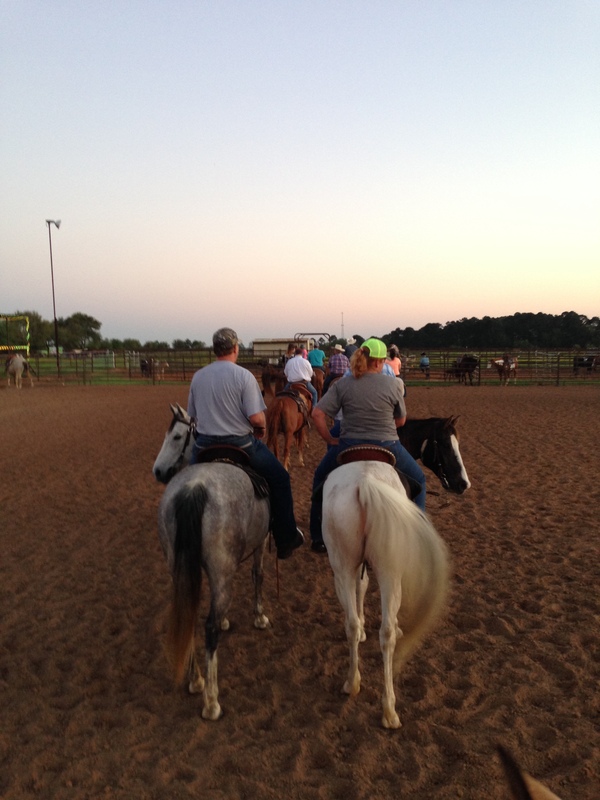 It was amazing to me how much I could learn about a horse by interacting with him on the ground. 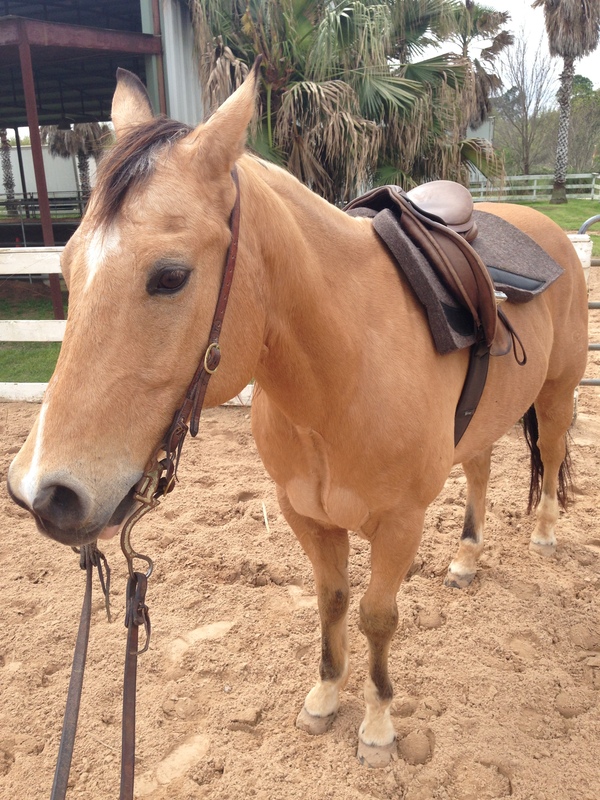 Using Roberts’s techniques, it’s possible to strike up a conversation even with a horse that is fully trained that can broaden and deepen your understanding and connection. Starting a horse from scratch has always been my dream. Reading The Man Who Listens to Horses made me long for the opportunity to do that even more. 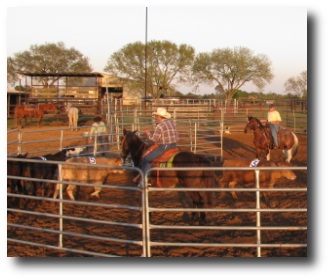 This is a concise, yet comprehensive text on the fundamentals of all aspects of training a horse, from imprinting a newborn foal to fixing potential problem behaviors in an older animal. Clearly articulated and well illustrated, my only difficulty with this book was that it was slightly repetitive; often the “sidebar” boxes interspersed throughout the text were disruptive to the flow of ideas and didn’t usually offer anything different from what was being said in the main body. 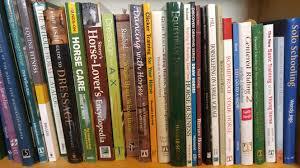 However, it also provided explanations of some of the basics that seem to have become glossed over in my horsemanship education. Having spent my whole childhood and teen years taking riding lessons but never owning a horse, and now doing much of my current training with my leased horse on my own (with a weekly lesson to give me some structure), I’ve missed out on being specifically taught skills like longeing and other areas of groundwork. 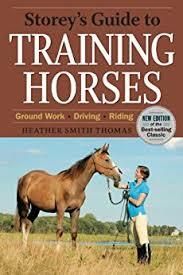 This book does a great job of explaining those concepts and connecting them with related skills used while riding the horse, and has been able to fill in some of the significant gaps in my knowledge. But perhaps the most valuable part of this book for me was, oddly, an articulation of the concept of dressage. Growing up as an English rider who did hunt seat equitation, in my mind dressage existed in an entirely different (and, if I’m being honest, boring) world from what I was doing. It was just the part of the Olympics that I wanted them to stop covering and move on to the exciting jump stuff. “The concept of dressage means different things to different people: it can encompass basic training, harmony between horse and rider, perfection of the gaits, development of a horse’s physical and mental ability, and horse ballet. 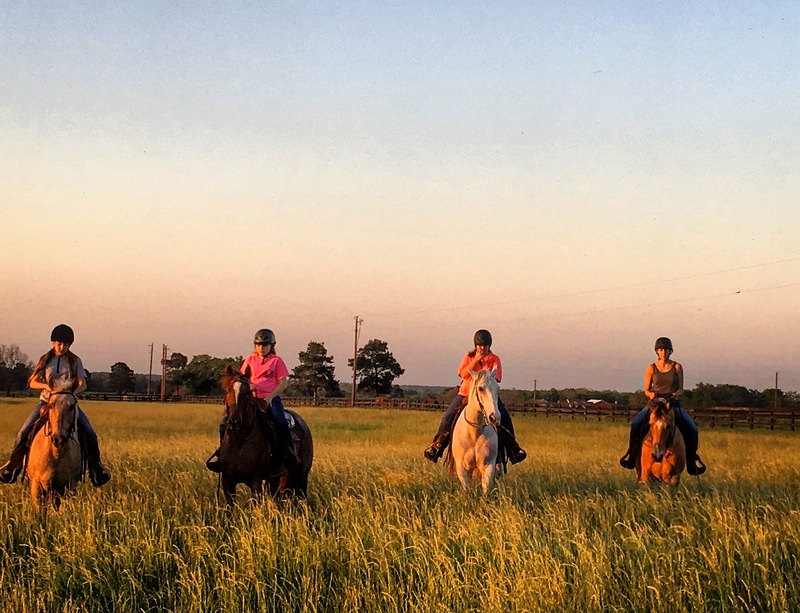 The term is often misunderstood to mean a type of riding that can be performed only in a certain way and one that is just for English riders. The term comes from the French word dresser, ‘to train,’ and dressage is the kind of training that goes beyond simply breaking a horse and making him willing to carry a person on his back. Dressage is the art of improving a horse beyond this stage, making him more agile, willing, easier to control, more pleasant to ride, more graceful, and better balanced. It involves a type of consistent horsemanship that is necessary for developing perfect obedience and perfect lightness and agility. Funny enough, as I’ve come to recognize this approach and see the potential it has for creating an incredible working relationship between horse and rider, I’ve always attributed it to the Western sensibility. To working horses that need to have these skills to get the job done, rather than pampered, gleaming show horses prancing around the ring to no discernible end. Thanks to this book, I now have more of an appreciation for the worth of a discipline that I had previously dismissed (although I’m still not sure I’ll be in a rush to go out and watch it).